Alpha Knocks was born in the streets of (Motown) Detroit. From an early age music as always been apart of his life, growing up blocks away from the historical Hitsville USA, birth place of Motown. Coming from a very rich musical family he heard music from Jazz, Funk, Gospel, R&B, Blues and of course Soul. However it was his connection with Hip Hop that made him fall in love with doing it for himself as a way to express his creativity. Formally known as "C-Smooth" for his laid back mood he started emceeing and performing around town, doing local battles and underground mixtapes. After falling in love with the creation process of making music he soon moved from being behind the Mic to behind the boards. Inspired by fellow Detroitors drive to make great music with the soul of Motown he continue to look for new ways to keep the heart and soul of Detroit. 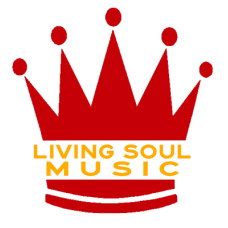 LivingSoulMusic is an indie record label dedicated to putting soul into music.